Without a properly functioning water heater, it would be almost impossible to take hot showers. Although water heaters are designed to work over extended periods of time, they are not meant to last forever. Eventually, a water heater might act differently, not as well, or not at all. There are many reasons you can be experiencing difficulties with your hot water system, and so our first task is to isolate the problem and create a clear repair plan. We might find that the hot water problem is not a water heater issue at all. 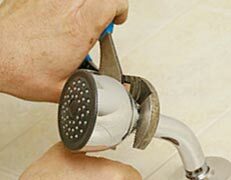 In some instances, a broken O-ring on shower plumbing can cause cold and hot water to mix, which will directly affect the temperature of the water. Broken mixing valves or cross-connected pipes can also cause problems. Taking hot showers is a luxury that no one should have to live without. When you need plumbers in NYC, we are the place to call. At the first signs of hot water trouble, reach out for the best plumber NYC has to offer. The longer you wait, the worse the problem will get.